The P-215II scanner was designed to improve personal productivity and efficiency anywhere, from home offices, to classrooms, even traveling in between. It can help meet the document capture needs of tax professionals. Users can conveniently execute general purpose distributed scanning tasks and help reduce paper in the process. Scan receipts, business cards, photographs, bills, contracts, reports, letters, plastic ID cards or driver licenses and more. 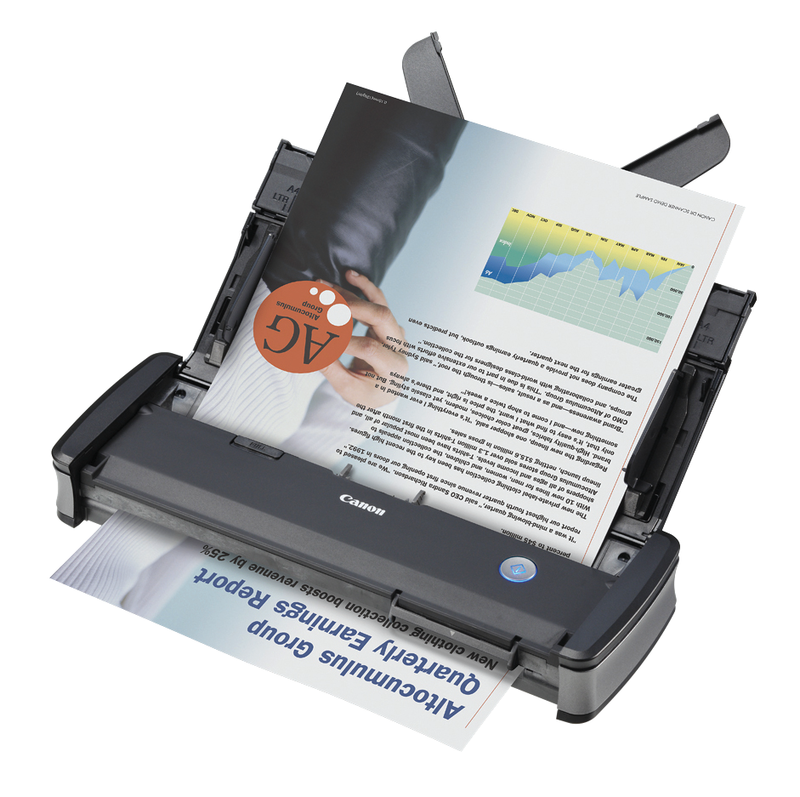 The imageFORMULA P-215II Scan-tini Mobile Document Scanner is an ideal solution for both Windows® and Mac® environments. Complete with a built-in card scanner, the P-215II scanner's compact size, simple use and high-quality imaging bring sophistication to mobile information capture, storage and collaboration. Powered via a single USB cable connected to a computer. Capable of scanning both sides of an item at the same time. Built-in card reader and automatic document feeder(20 pages). Scans up to 15 pages per minute. Scanner Size: 1.6"H x 11.0"W x 3.7"D with trays closed - 2.2 lbs.